Bring all of the application documents to the visa counter of the Embassy of the Republic of Indonesia in New Delhi, 50-A, Kautilya Marg, Chanakyapuri, New Delhi, 110021 (no staples, use paper clips). Overseas Citizen of India (OCI) card holders may apply for Indonesian visa at the Embassy of the Republic of Indonesia in New Delhi. Non-Indian nationals who are non-residents in India are encouraged to apply for Indonesian visa at the Indonesian Embassies/Consulates in their home countries prior to their visit to India. Transit visa is given to a person who will continue the journey to another country or to the country of his/her origin or joining in or working for a transport vehicle continuing journey outside Indonesian territory or staying temporarily due to a delayed flight or journey (emergency cases). 2. Person stopping-over in Indonesia to join in or work for a transport vehicle continuing journey outside Indonesian territory must have proof of work contract. 3. Invitation letter from the sponsor company in Indonesia. *Maximum staying period of 14 days from the date of arrival in Indonesia. 1. Confirmed return ticket or a ticket issued for traveling to other countries. *The maximum staying period is 60 days from the date of arrival in Indonesia. 4. Proof of accomodation while staying in Indonesia. 4. Clearance from Indonesian Immigration Authority, or a sponsorship letter from company in Indonesia, or a guarantee on the availability of funds to cover living expenses while staying in Indonesia. 4. Clearance from Indonesian Immigration Authority, or a sponsorship letter from instittion/family/relative staying in Indonesia, or a guarantee on the availability of funds to cover living expenses while staying in Indonesia. 2. purposes on religious related matters, research, education, and social affairs. 3. working in a foreign investment or domestic investment ventures, or as technical professional on assignment by a foreign organization. 4. foreigners who will be joining his or her/their Indonesian husband/wife/ parents. 1. Clearance from Indonesian Immigration Authorities and along with a sponsorship letter from concerned authority or company in Indonesia. 2. A complete and updated Curriculum Vitae for those accompanying – their spouse and or parents who are foreign citizens living in Indonesia. A copy of marriage certificate and/or birth certificate of the applicants may be required. 3. Letter of recommendation from Indonesian institution inviting those who take up activities on religious related matters, research, education and social affairs in Indonesia. 4. Letter of recommendation from the related institution (Ministry of Manpower/Investment Coordinating Board), and a copy of letter of agreement for foreign labour employment for those who wish to work in foreign investment or domestic investment ventures, or as technical professionals on assignment by a foreign organization. 5. Confirmed Ticket to Indonesia (one way or return). 1. Passport with at least 18 months period of validity. 2. Clearance from Indonesian Immigration authorities and a sponsorship letter or letter of applicant guaranteeing on the availability of funds to cover living expenses while in Indonesia. 3. Proof of a returned ticket or a ticket issued for traveling to other countries for the first travel. *Multiple entry visa is valid for a maximum of two years from the date of first entry into Indonesia, with the staying period of each entry not exceed 60 days. With Effect from May 11, 2010, Visa on Arrival facility is given to national of the following 65 countries upon their arrival in 20 international airports, 18 seaports and 1 border post. *Citizens of these countries are eligible to apply for a VoA valid for 30 days upon arrival with the costs of US$25 and can be extended once only for another 30 days. This type of visa cannot be converted into any other kind of visa. Also be aware that Immigration officials calculate the 30-day period from your arrival date in the country, and you must leave the country on the 30th day or the 60th day, if you decide to extend your stay. 3. Payment of US$25 must be paid at the gateway. 4. Confirmed return ticket is compulsory. 5. Visitors must enter and exit through one of the 20 airports /18 seaports/1 land border post, officially approved as an “international gateway” by the Indonesian Immigration department. Arriving travelers with VoA status have to go first to one of the Visa on Arrival counters to pay the fee and have their passports pasted with the VoA sticker before proceeding to the Immigration Clearance Desk. An official bank is part of the VoA service counters. Payment of visa fees can be made in all major currencies or by VISA or MASTERCARD. Effective from September 18, 2015, India Citizen and foreign nationals of 75 countries and territories are eligible for Tourist Visa Exemption. Austria, Algeria, Angola, Argentina, Azerbaijan, Bahrain, Belgium, Belarus, Brunei Darussalam, Bulgaria, Cambodia, Cyprus, Canada, Chile, Croatia, People Republic of China, Czech Republic, Denmark, Dominica, Egypt, Estonia, Ecuador, Fiji, Finland, France, Ghana, Germany, Greece, Hong Kong-China, Hungary, India, Ireland, Iceland, Italy, Jordan, Japan, Kazakhstan, Kyrgistan, Kuwait, Lao PDR, Latvia, Lebanon, Liechtenstein, Lithuania, Luxemburg, Macau, Malaysia, Mexico, Morocco, Monaco, Myanmar, Maldives, Malta, the Netherlands, New Zealand, Norway, Oman, Panama, Papua New Guinea, Peru, Portugal, the Philippines, Poland, Qatar, Republic of Korea, Romania, Russia, Singapore, South Africa, Slovakia, Slovenia, Spain, Sweden, Switzerland, San Marino, Suriname, Saudi Arabia, Seychelles, Thailand, Taiwan, Tanzania, Timor Leste, Tunisia, Turkey, United Arab Emirates, United Kingdom, United States, Vatican, Venezuela, Viet Nam. Based on bilateral agreement, Indian Diplomatic/Official pasport holders are exempted from visa requirements for a visit up to 30 days. The validity of the pasports should be minimum 6 (six) months. 5. 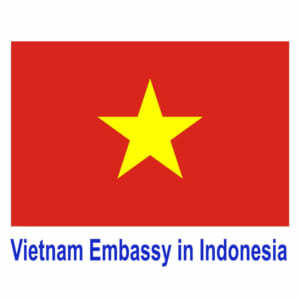 Visa fee is payable to the Embassy by Bank Draft/Demand Draft in favour of “Embassy of the Republic of Indonesia, New Delhi”. Journalist visit or film/video shooting in Indonesia may be carried out after an approval from the authorities concerned has been obtained. 5. A synopsis or proposal of the film or photo project with details such as timetable, locations and duration of stay; (for filming purposes only). 6. A signed statement for film/video shooting; (for filming purposes only). 9. A signed statement that includes date and place of journalism activities and acceptance to obey the Indonesian national law and regulation during the journalism visit. 11. The following Visa Fee must be paid INR 3,000 in bank draft payable to Indonesian Embassy (for up to 60 days maximum period of stay). Following the approval from the authorities in Indonesia, we will advise you to bring the passport to the Embassy to be stamped with the necessary Visa which will be ready to collect within one working day. Provide 3 (three) recent photographs (3×4 cm-size) to collect your press card or the film permit.